The Palmetto Half Marathon is a community movement in which experienced runners and enthusiastic volunteers come together to promote fitness, community involvement and charitable causes. The race, which began in 2010, has become a tradition among Columbia residents and is highly anticipated statewide. Event proceeds go to a Charity Beneficiary that is selected by the race’s planning committee, and the race also presents a variety of opportunities for local organizations to gain exposure and raise funds. This year’s Half Marathon will attract elite runners from around the country, but the 5k Run/Walk is also available to anyone who wants to get involved. The course starts in front of Academy Sports + Outdoors inside the Village at Sandhill and finishes at the Fountain in the center of the Village at Sandhill. The out and back course takes runners through parts of Northeast Columbia including The Woodland’s and Wildewood neighborhoods. Water stations are positioned approximately every 2 miles along the course. There will be bathroom facilities along the course as well as a First Aid tent that will be located near mile 4 and mile 9. At the finish line participants will be awarded a finisher’s medal and will be able to enjoy food, drinks, music, awards & visit with the sponsors and the Health & Fitness vendors that will be there. 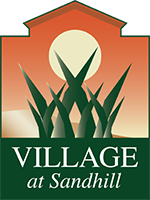 After the race, participants and their families can enjoy visiting the local shops and restaurants at the Village at Sandhill. Packet Pickup – click here for more info. Half Marathon 7 a.m. – click here for more info. 5k Run/Walk 7:15 a.m. – click here for more info. Kids’ Fun Run 9 a.m. – click here for more info. Satisfaction of knowing you helped build a stronger community! Please click here to download the Half Marathon Course Map. The start time for the Half Marathon is 7 a.m., April 21, 2018. There is a 4-hour time limit for this event. The course closes at 11 a.m.
Half Marathon participants can change to the 5k run/walk until April 14. No refunds will be given if you move from the half to the 5k. Half Marathon participants under the age of 18 must bring signed waiver on race day with parent or guardian’s signature to be qualified to run. Race course will close at 11 a.m.